Where did you go, and why? In 2012, I decided to visit two Ukrainian cities, Dnepropetrovsk and Nikopol, to meet a lady from an online dating web site. All my life I have read and heard that the most beautiful women in the world come from Ukraine. But, along with meeting that woman, another factor in going to Ukraine was just plain curiosity. Since I had been working and traveling to Germany and Holland for many years (as a contractor for the US Army), I had always wanted to visit the old Soviet Union countries. As my job required a security clearance previously I could not go. But at long last I was ready and able! …I had been writing to a lady in Nikopol and though all seemed well at first, I discovered she was only interested in getting to America and not so much interest to me personally. (Of course, things like that happen in every country.) During my visit to Nikopol I discovered that these people speak Russian. Which makes sense. 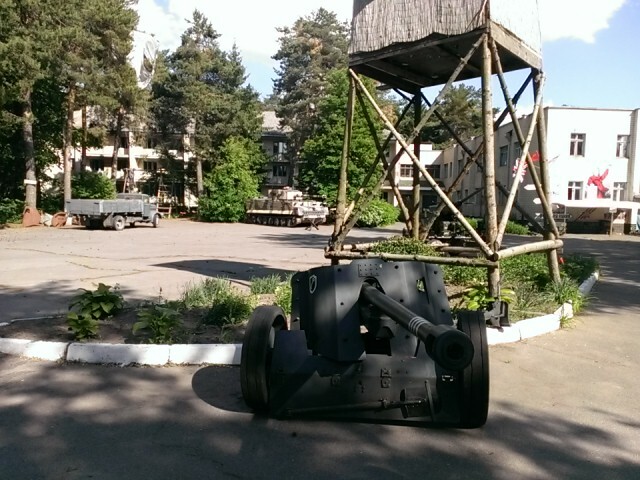 After all, Nikopol is in the far east part of Ukraine near the Russian border. And since my first trip was not as successful as I had hoped, I decided I’d prepare better for the next one. The thing is, during my visit to Nikopol I had to hire a translator at $15/hr. Believe me, it adds up fast. I was spending between $80 to $140 a day! So prior to my second visit I wanted to learn some Russian. I searched for places here in Alabama where I might learn, but to no avail. Luckily I discovered an online Russian course called “Russian Accelerator.” I studied the course daily for about three months and then, feeling ready, I headed back to Ukraine. This second trip started in Kiev, and during my four days there I toured the city on my own with a growing confidence in communicating in Russian. It was a great feeling! From Kiev I made my way to a city called Vinnitsya. True, most people in that particular city seem to speak Ukrainian, but everyone understood my Russian, including the woman I went to meet. Money-wise, in just a few days of not having to pay for a translator, the Russian course I’d taken had already paid for itself. But more importantly, although I was by no means fluent yet, the language barrier had been breached. This woman and I communicated with each other on our own. From that, our bond grew quickly. What insight did you get into the people there? 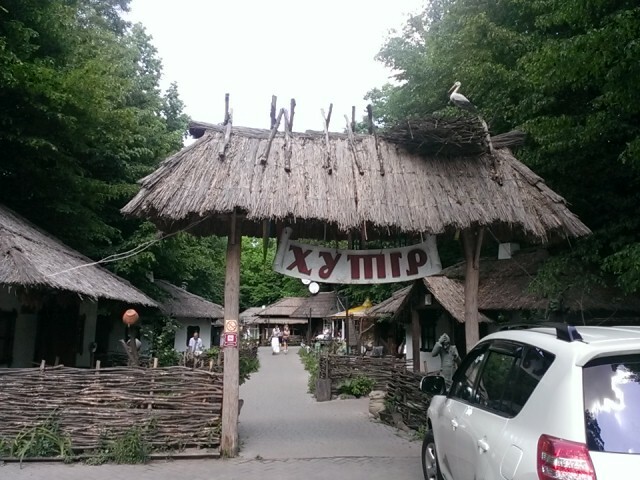 One thing I discovered about the Ukrainian people: They have a love of nature that’s very familiar to me. It was a pleasant surprise, because I’m from a rural farm area in Alabama. And it was great to see that so many Ukrainians frequently visit family who still live in small villages on the outskirts of cities. You get the sense they’d prefer to live there, if they could. Any tips for would-be travelers to Russia or Ukraine? My best advice would be to learn some Russian before you go. Whatever your reasons are for heading to Russia or the FSU, your trip will be enriched by knowing even a little of the language. Any photos you’d like to share with our readers? 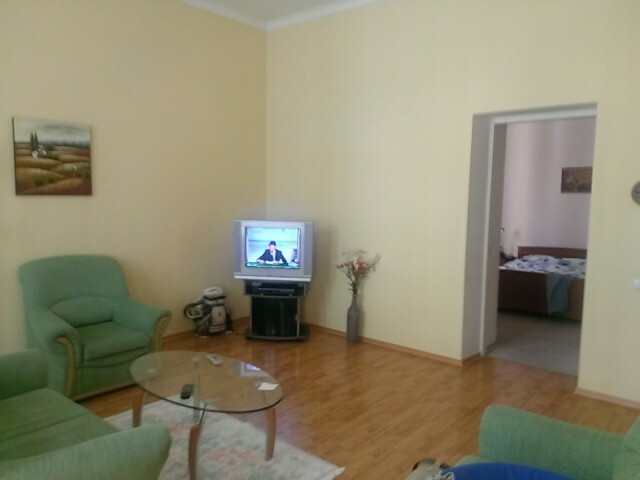 The first is a photo of my apartment in Kiev. Way cheaper and much better value than a hotel. 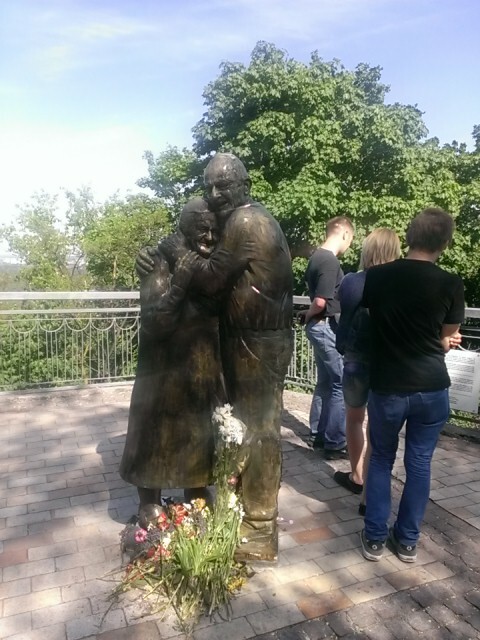 The next picture is also from Kiev, the newest statue in the city park there which was added only this spring. It recognizes couples who have been married more than 50 years. 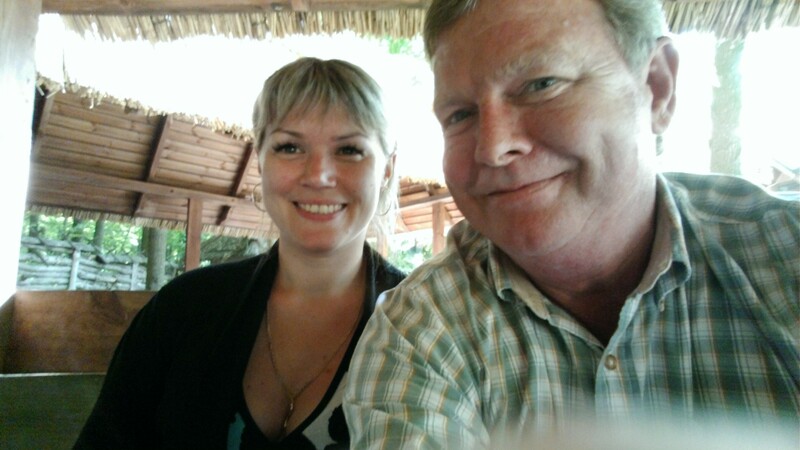 The third picture is me and my sweetie in Vinnitsya at a Cossack-style restaurant. The food was great, and instead of just a table, each visitor gets a small Cossack hut for privacy. Pretty cool, eh? The fourth photo is of a WW II museum outside Vinnitsya called the Wolf’s Lair. This is the place where Adolph Hitler did all his war planning and held meetings to attack Russia in operation Barbarossa or Red Beard in English. 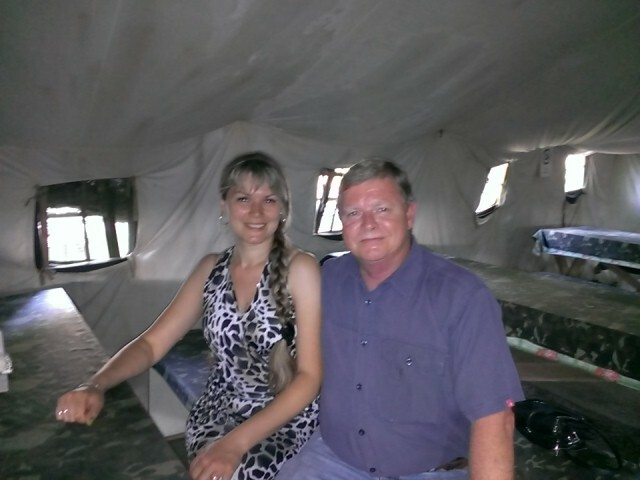 The last photo is of my girlfriend Tanya and I in the “mess” where the soldiers at the Wolf’s Lair ate. Previous: Why Travel to Yalta, Ukraine? Next: Why did you decide to live in Ukraine?